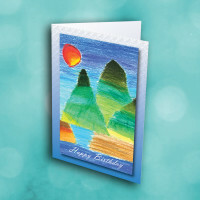 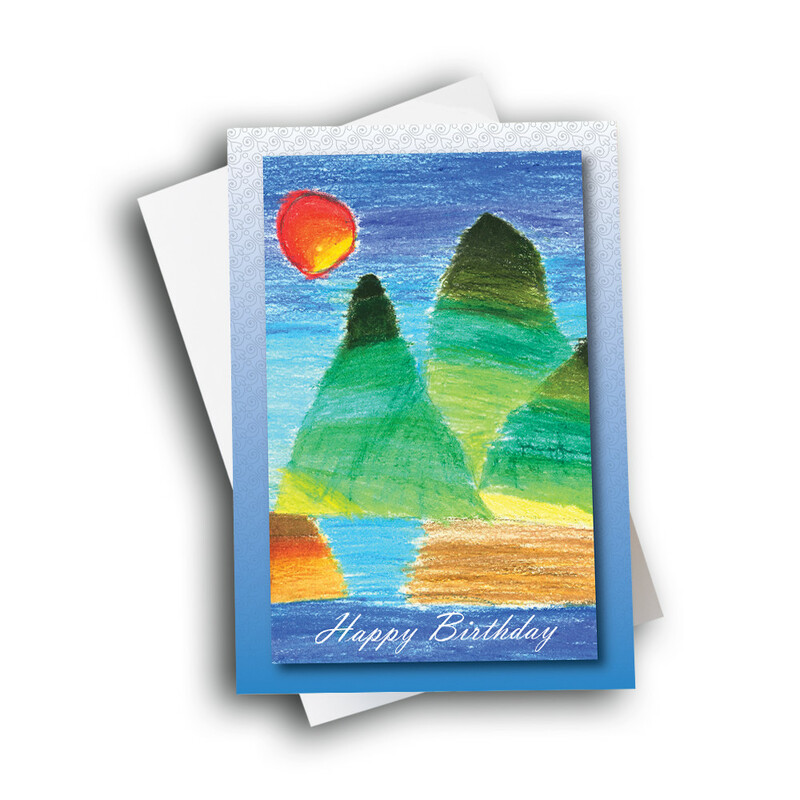 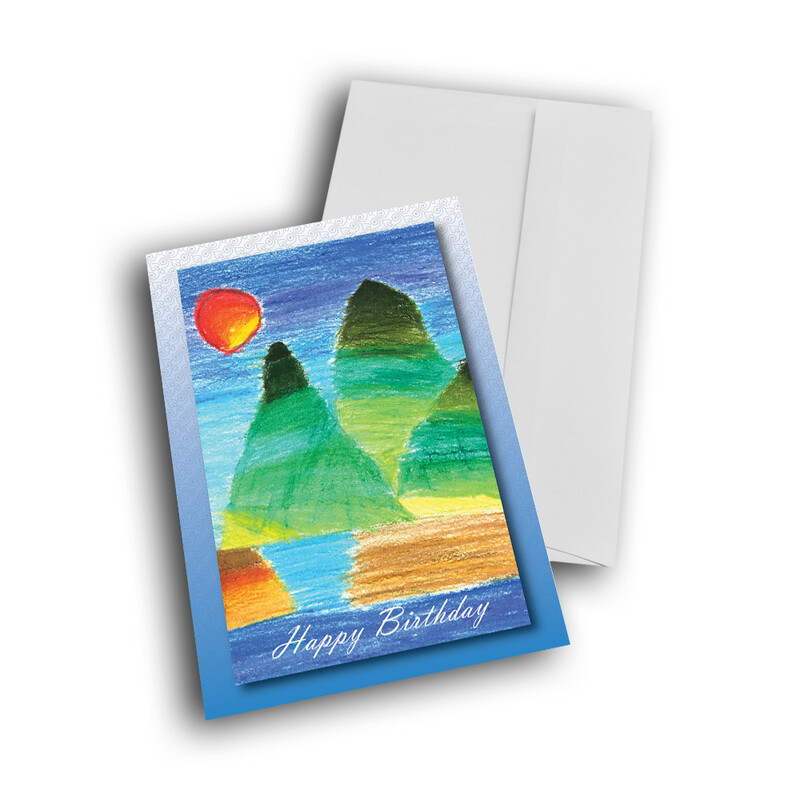 Send a unique, child's artwork-based card to wish someone a heartfelt happy birthday. 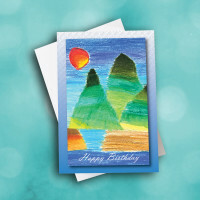 A charming, artistic birthday greeting card to share your wishes. The scene on the front shows pastel mountain peaks reflecting into a lake, and a bright orange sun floating above. 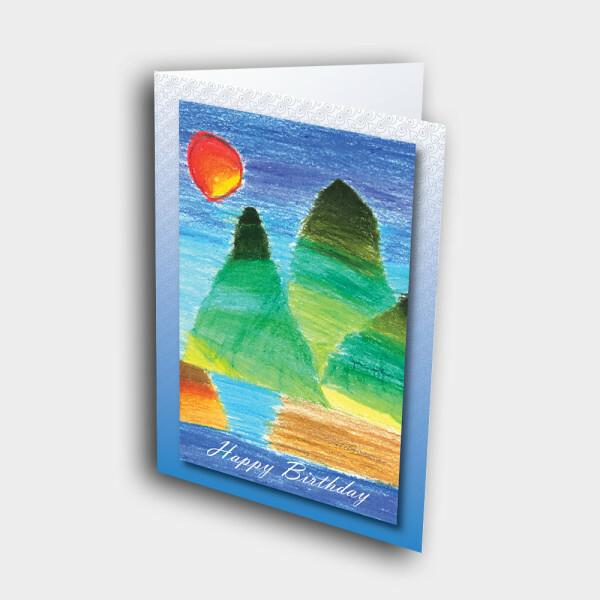 The drawing is enclosed in a patterned, blue-fade background. 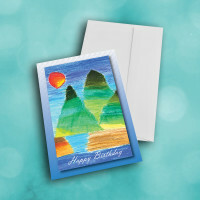 Add a customized message inside to make this a personalized birthday card.